This resin pipe uses high-grade man-made materials to create a solid and affordable briar-like pipe suitable for all day smoking. 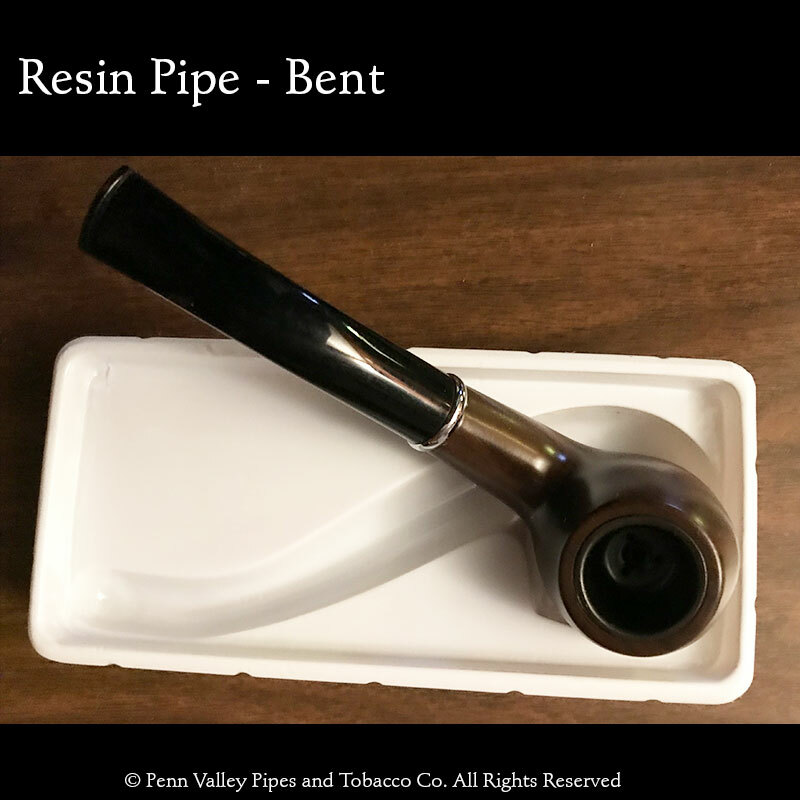 The bowl has a hard insert so the tobacco never touches the resin and keeps the pipe cool to the touch. We did find the insert can get quite hot to the touch, so please keep your fingers away from the top of the bowl while enjoying this pipe. The stem is volcanite and there is a metal insert to help keep moisture from entering the mouthpiece. 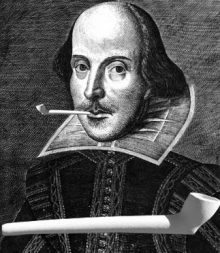 We’re introducing a new pipe style to our line-up. Resin and other man-made materials have been around for some time, but this is the first time we have brought these pipes onto Pipeshoppe.com. We were searching for good quality affordable pipes that new pipe smokers could purchase without making a huge investment. 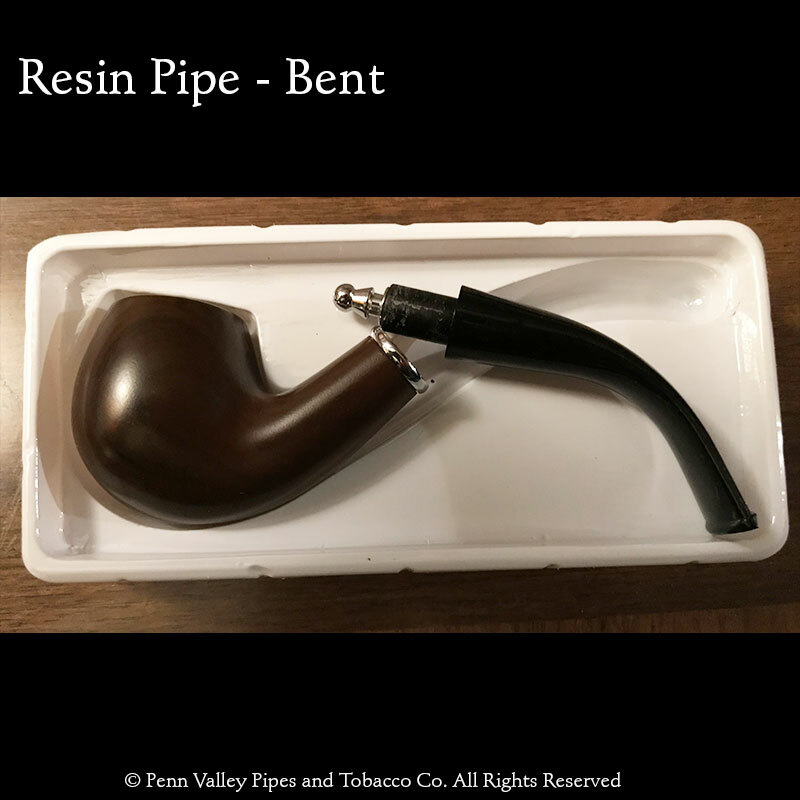 We discovered some amazing resin pipes that have the feel, if not the exact look, of standard briar pipes. These pipes just feel right. They have heft without being heavy. They are well constructed. The bowl stays cool in your hand. The vulcanite stem can hand a strong jaw clenching so you can type and smoke at the same time. You can take my word for that. This pipe has one very unusual feature. It has an insert in the bowl which means the tobacco chamber is about 13/16th of an inch deep. Deep enough for a good wad of tobacco but less than the bowl height (1.5″) would suggest. 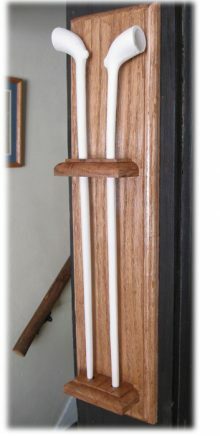 We suspect the insert is what allows the outside of the pipe to remain cool while being smoked. 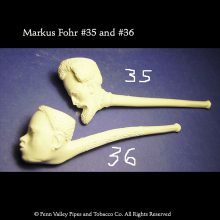 We think veteran pipe smokers will enjoy this pipe as much as new smokers. But let’s not kid ourselves. 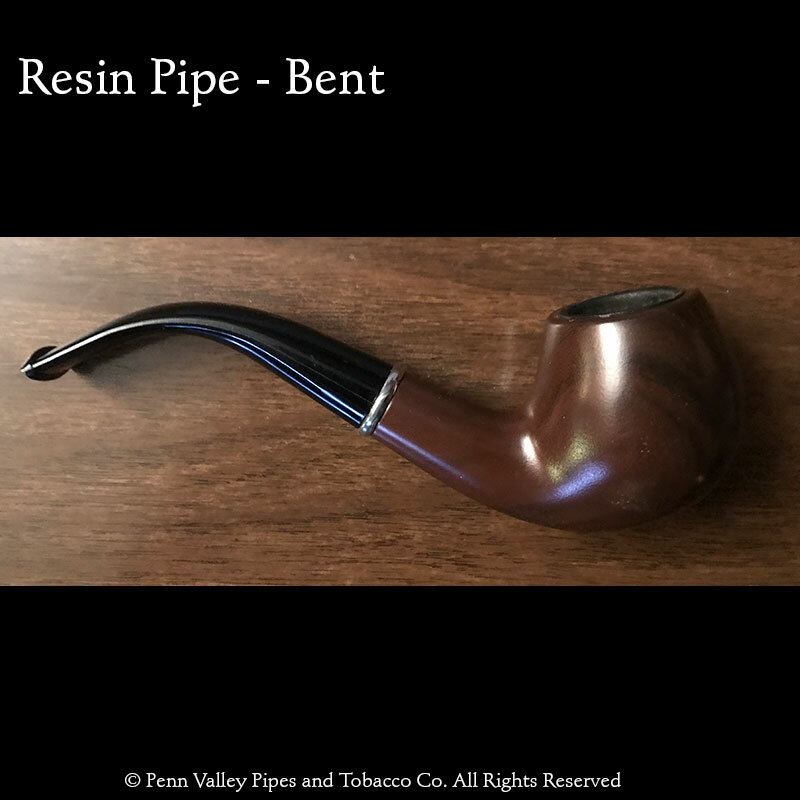 This is not a high-end briar pipe. It does the job, it looks good and it won’t break the bank. Imported from China. 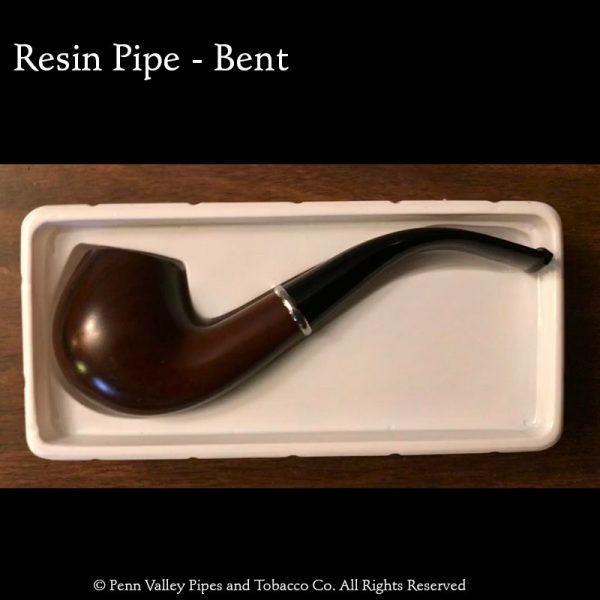 The Resin Pipe is a half-bent brown resin pipe that includes a heat-resistant insert to keep the pipe cool in your hand. This pipe comes in its own box.